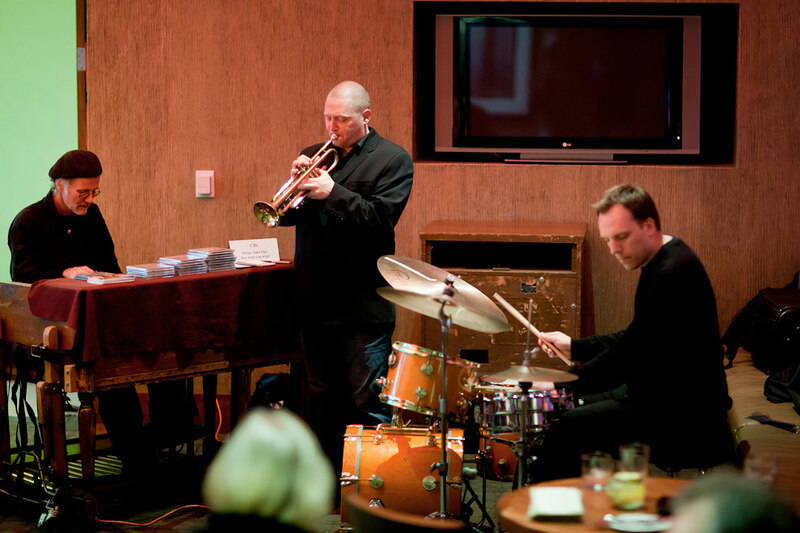 The Thomas Marriott Trio performed for free at the Cypress Lounge and Wine Bar at the Westin Bellevue after the Bad Plus set at the Theatre at Meydenbauer Center. Very nice set.thomas is so cool on the trumpet with Matt Jorgensen on drums and the great organist L. Ron Weinstein, on the Hammond B-3 organ. No tie this year for L. Ron. 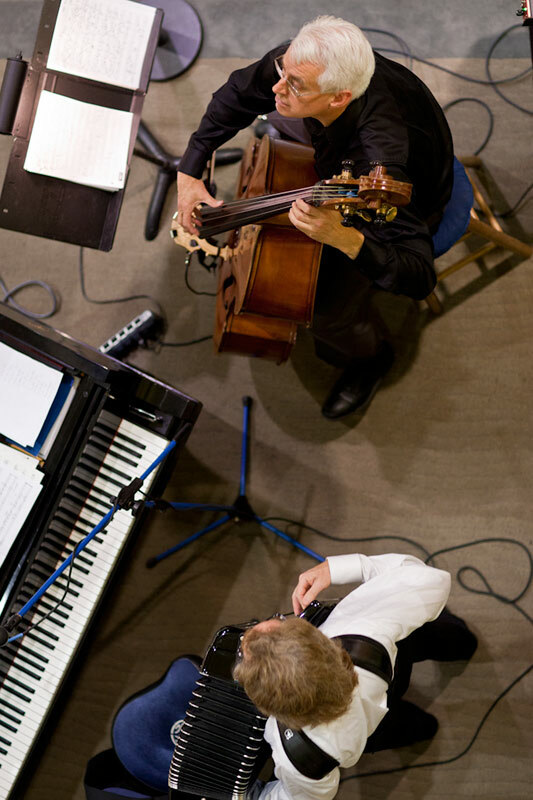 Murl Allen Sanders Duo played at Lincoln Square on the First Floor earlier in the evening. I was happy to be able to go up over them and look down for the overhead shot.